This first book to focus on the applications of nanomagnetism presents those already realized while also suggesting bold ideas for further breakthroughs. The first part is devoted to the concept of spin electronics and its use for data storage and magnetic sensing, while the second part concentrates on magnetic nanoparticles and their use in industrial environment, biological and medical applications. The third, more prospective part goes on to describe emerging applications related to spin current creation and manipulation, dynamics, spin waves and binary logic based on nano-scale magnetism. With its unique choice of topics and authors, this will appeal to academic as well as corporate researchers in a wide range of disciplines from physics via materials science to engineering, chemistry and life science. Claude Fermon is currently directing the Nanomagnetism and Oxide Laboratory in CEA, France. After an education at the Ecole Normale Superieure and in the University of Paris VI, France, he has obtained a PhD in the field of nuclear magnetic resonance. His interest is focused on nanomagnetism, spin dynamics in nanometric objects, spin-dependent electronic transport in nanostructures, biomagnetism and spin electronics based magnetic sensors. Dr. Claude Fermon has received a number of awards, among them the A. Abragam price for the development of neutron reflectivity methods and the A. Poirson price for the development of ultra-sensitive magnetic sensors. He has published more than 130 papers, one book, a number of book chapters and 22 patents. Marcel Van de Voorde has 40 years` experience in European Research Organisations including CERN-Geneva, European Commission, with 10 years at the Max Planck Institute in Stuttgart, Germany. For many years, he was involved in research and research strategies, policy and management, especially in European research institutions. He holds a Professorship at the University of Technology in Delft, the Netherlands, as well as multiple visiting professorships in Europe and worldwide. He holds a doctor honoris causa and various honorary Professorships. He is senator of the European Academy for Sciences and Arts, in Salzburg and Fellow of the World Academy for Sciences. He is a Fellow of various scientific societies and has been decorated by the Belgian King. He has authored of multiple scientific and technical publications and co-edited multiple books in the field of nanoscience and nanotechnology. This introductory chapter provides the basic knowledge of magnetism and spin electronics, which will help the reader to understand the contents of the book. Then, after a brief introduction to magnetic fields, some bases of magnetic sensing and spin electronics are proposed. The last part of the chapter provides definitions that are useful for understanding spin electronics applications. More in-depth information can be found [1,2]. 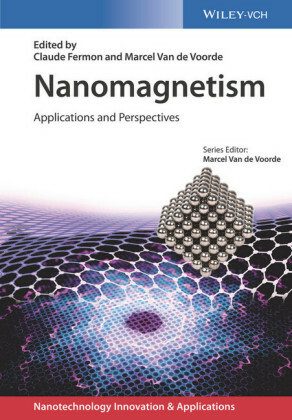 A number of books have been published on nanomagnetism , spin electronics [4,5], GMR , and spin dynamics , where each particular topic is discussed in detail. Magnetism and magnetic field are known since thousands of years. First magnetic sensors were compass made of magnetite stones in China during the Han dynasty rule and later used by sailors to navigate. Today, magnetic objects, such as fridge magnets, are used as ornaments or for health purpose. In parallel, electricity is associated with electrons flowing in conductors and its use in domestic applications. Rotating magnetic fields seen by a coil is today the major source of electricity and, inversely, current in a coil produces magnetic fields like in MRI devices. The fundamental reason is that both are, in fact, identical depending on the reference frame taken. This has been highlighted by the well-known Maxwell equations that link electric fields and magnetic fields, one being the derivative of the other. In parallel to the enormous importance of electricity in our life, electromagnetism has a fundamental property that justifies the billions of magnetic sensors and antennas produced each year: it is the only long-range interaction that we can create, modify, and detect. This long-range interaction property takes various forms. Light is an electromagnetic wave. Radiofrequency transmissions used for radio, TV, or mobiles are electromagnetic waves at lower frequencies. Static or low-frequency magnetic fields are the extremely low or zero frequency aspect of the same interaction. Historically, the magnetic field has been described by two different quantities. The first one is the field created by a magnet that has been called , the magnetic field intensity. The second one is the field created by a current that has been called , the magnetic induction. It took some time to reconcile the two quantities that are proportional in the vacuum. A/m is not a very useful quantity for a common comparison, and now nearly everybody is using Tesla or Gauss as a unit both for magnetic field intensity and induction. In this book, we will follow the same use knowing that this is just a commodity. The relationship between these quantities is given in Table 1.1 . Table 1.1 Main fields units.